We are engaged in exporting and supplying a diverse range of Simatic PLC System. Reckoned for offering successful automation solutions, the Simatic PLC System, supplied by us, is demanded by several manufacturing and processing industries. We offer the Simatic PLC System in varied models to meet the diverse requirements of the clients. 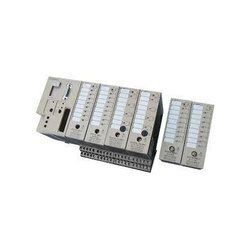 The clients can avail the Simatic PLC Systems from us at the most competitive price. 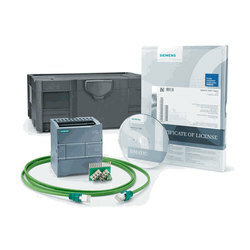 Siemens is the world’s largest HMI vendor providing hardware and software that can improve efficiencies, in both engineering and plant operation. The SIMATIC brand is a promise of high product quality and excellent customer service. Siemens Simatic PLC System (S7-200) Smart our newly launched micro PLC product,is designed to suit the needs of developing markets that are under constant pressure due to prices and demands for continuous performance.Providing an excellent performance-to-price ratio, Simatic S7-200Smartwhen combined with other Smart drive products from Siemens helps in building an extremely cost effective yet efficient automation solution. 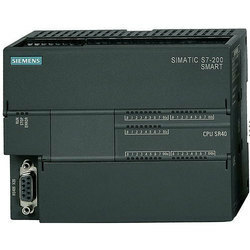 Avail from us the Siemens Simatic PLC System S7-300 of Simatic make. The Simatic S7-300 enables integrated and low-cost system solutions in centralized and distributed configurations. The clients can avail the Simatic S7-300 from us at the most competitive price. PID-Regulation with integrated functional module. 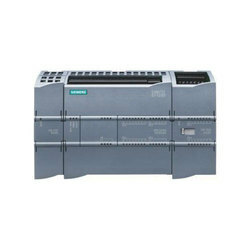 To cater to the diverse requirements of the clients, we supply, advanced quality Siemens Simatic PLC System (S5 PLC). The S5 Simatic PLC System, we offer, is demanded widely by several industries to meet diverse production requirements. 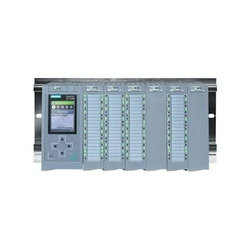 The Simatic PLC System (S5 PLC) can be availed from us at the market leading price. The S5 line comes in the 90U, 95U, 101U, 100U, 105, 115U, 135U, and 155U chassis styles. Higher the number, the more sophisticated and more expensive the system. Within each chassis style, several CPUs are available, with varying speed, memory, and capabilities. Some systems provide redundant CPU operation for ultra-high-reliability control, as used in pharmaceutical manufacturing, for example. 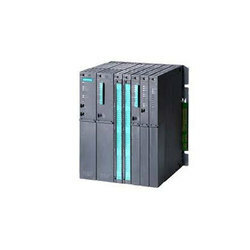 Known as a powerful PLC Siemens Simatic PLC System (S7-400) is demanded widely to find several automation solutions with Totally Integrated Automation. Distinguished by the modularity and performance reserves, the S7-400 is extensively demanded by several manufacturing and processing industries. Automation solutions must be compact, scalable and flexible. 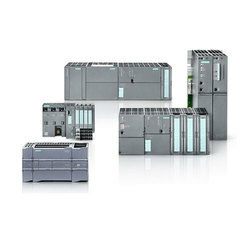 Siemens Simatic PLC System (S7-1200) CPUs are available as standard and failsafe versions. They are scalable in terms of their performance and are equipped with integrated IOs, inte-grated PROFINET interface for programming, HMI connections, distributed IOs and distri-buted drive architectures. The S7-1200 can be optimally adapted to your individual requirements by means of pluggable signal modules and communication modules.The S7-1200 range incorporates 4 different CPU's offering a variety of performance and IO options. Each CPU is available with a choice of supply voltage AC or DC, and with AC, DC, or relay outputs. S7-1500: The ultimate plus in automation. Siemens Simatic HMI Touch Panels, SIMATIC HMI Panels have been tried and tested in the most various applications throughout all sectors for years. They not only feature an innovative design and high performance – as a unique highlight, they can be configured via SIMATIC Win CC in the TIA Portal. Users can thus benefit from unprecedented engineering efficiency. SIMATIC products facilitate long-term investment protection. Existing projects can be easily and directly migrated to the successor product. Following the phase-out period of a model range, we support you with long-term spare parts availability. Moreover, the matching accessories for each product are available throughout the entire product lifecycle.